Flower sellers outside Santo Tomas, Chichicastenango, Guatemala, January 2014. Lake Atitlán as seen from the road in the hills above the town of Panajachel, Guatemala. 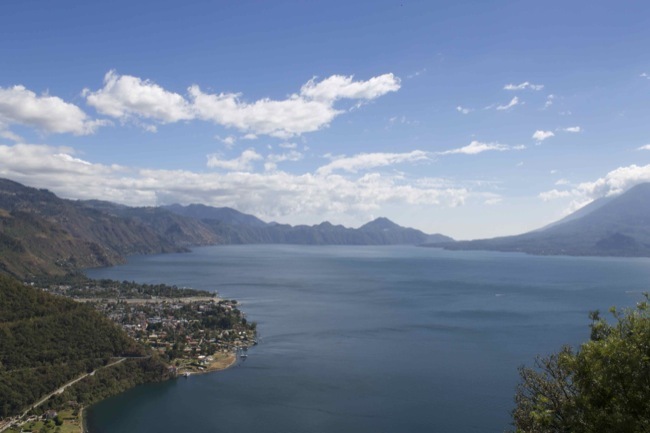 One of the biggest tourist draws in Guatemala is in the highlands, Lake Atitlán, and the many towns that surround it. We stayed over night in Panajachel and then, led by a tour guide from Guatemala City, we took a boat to visit three towns: Santa Catarina, San Antonio and Santiago. 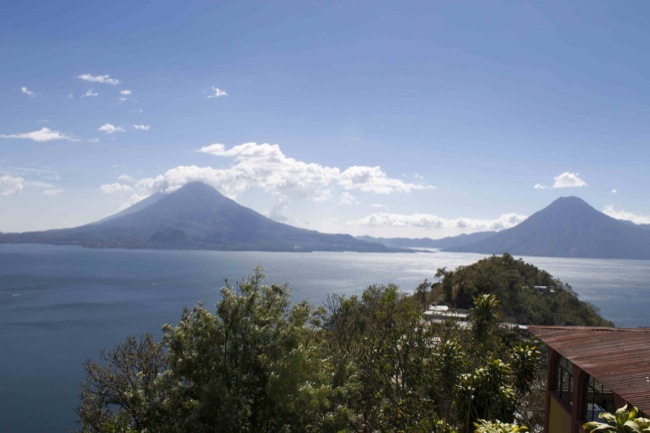 A view of Lake Atitlán, with the Atitlán Volcano to the left and the San Pedro Volcano to the right.